Ukrainian Festival Orchestra is one of the best orchestras in Eastern Europe. Over many years it has gained execellent reputation, collaborating with world stars of the classical music stage: violinists Midori, Noah Bendix-Balgley, Corey Cerovsek, Josef Spacek, Vadym Kholodenko, Andrey Gavrilov, Maxim Rysanov, Anthony Baryshevsky, Jacob Shaw, Daniel Hansson, Lev Markiz, Sigiswald Kuijken, Theodore Kuchar and many others. The orchestra has been involved in multiple recording projects. 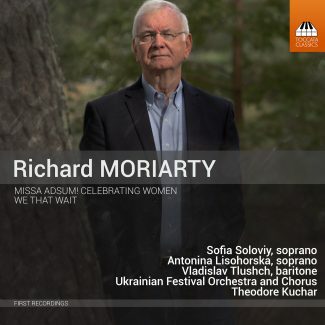 Many of them got good reviews, like the recent album on Toccata’s label, describing “Ukrainian Festival Orchestra in Lviv, captured in terrifically clear sound”, – The Gramophon. General Recording Engineer, Andriy Mokrytskyi, is the best professional in the sphere in Ukraine, he has done hundreds of recordings for the word`s leading labels, such as Naxos and Toccata Classics. We are open to cooperation, ready to offer the highest quality audio recordings of all music genres in the beautiful and quickly growing city of Lviv. Ukrainian Festival Orchestra: the opportunity to make your recording at a high professional level at the best price. Just after the recording sessions finished last summer I posted something on Facebook to the effect that I thought I’d just met the hardest-working orchestra in the world. We had two weeks of the most intense sessions on totally unfamiliar music, and I was extremely impressed by just how hard the players were willing to work not only to get everything right, but to bring a sense of real involvement to the music-making. The results are there for all to hear on the finished recordings. I’m looking forward to continuing this relationship with these excellent players in future. It’s heart-felting to see an orchestra tackle a difficult recording program of new music with such unalloyed enthusiasm and (in this case, under the patient guidance of Paul Mann) being prepared to keep working on it until they got it right. The net result is a series of composers around the world who are delighted with the intensity and commitment that the UFO brought to their pieces. Some orchestras have ‘attitude’. This orchestra has the right attitude, and it was – and I hope still will be – a pleasure working with these players.